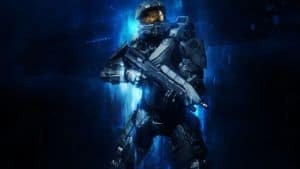 Halo 6 Development Confirmed | Nerd Much? A few days ago a new Halo project was announced that’s being titled Halo: Fireteam Raven. However, it’s not a typical Halo series outing. Some fans immediately cried foul wondering where the hell Halo 6 was. And luckily, 343 replied to calm their worries. Fireteam Raven isn’t even coming to home consoles. The game is poised to be an exclusive arcade offering to be featured at Dave & Buster’s restaurants. It’s being developed as a four player cooperative shooter in which you control Orbital Drop Shock Troopers. The narrative of the game takes place during the same time as 2001’s original Halo. Some were immediately worried that this would impact the timing in which we would see Halo 6. But 343 Industries, the team now handling the Halo franchise, isn’t even directly involved with Fireteam Raven. Instead, Fireteam Raven is being developed by Raw Thrills and Play Mechanix “in a unique partnership with 343 Industries.” In other words, Halo: Fireteam Raven is essentially a licensed product. You’ll note that Jarrad confirmed that “the next console game” is indeed in development. Although that was surely a no brainer to most at this point. 343 released Halo 5: Guardians in 2015, and the series typically has about a 3 year production schedule. However, the Community Director never specified that it was coming to Xbox One. There’s a good chance that we could we seeing Halo 6’s first public unveiling in just a few weeks at E3. Microsoft’s E3 2018 briefing will take place on Sunday, June 10th, 2018 at 1:00 p.m. Pacific, 4:00 p.m. Eastern. With the Xbox One first party lineup struggling to impress these days, it’s crucial that Microsoft and 343 bring the franchise back to its previous glory.